This series ended as it started – all heart and a multitude of surprises. Devlin de Vincent is at his best when he's trying to protect his family. He doesn't want anything to do with ghosts, spirits, or anything that he can't see with his eyes or hold in hands. Rosie Herpin is just the opposite. She loves the supernatural, which is why every year on the anniversary of her husband's death, she tries to contact him. She wants to know that he's happy. When a chance meeting with Devlin at the cemetery brings Rosie into his orbit, she can't help but think about getting inside the de Vincent house to see if the rumors are true. But since her friend, Nikki, not only works there but is dating Gabriel de Vincent, she knows that it will never happen. The mystical magic of New Orleans is present throughout the book. The rich history of the city fits well with the plot of this entire series. I love the dynamic of Devlin and Rosie and how Rosie's presence seems to give Devlin a sense of peace that he's never had before. Lots of secrets are revealed in this book and it makes me want to revisit this family again and again. This is the final book in the series and I would recommend reading them in order to get the most out of the series. It doesn't disappoint – the ending is fantastic. Devlin is the most secretive of the brothers. I have to admit that I didn't think I'd like him because he seems like he's such a stern, uncaring person. When he meets Rosie in the graveyard, you know that things will happen quickly. Rosie is a free spirit who loves her life. Despite not finding that one person to love, she knows that she has great friends and a fantastic life. But when her friend reads that Rosie will come across the devil, she believes that she already has. Devlin and Rosie find themselves on a journey of self-discovery and one where they come together to be even stronger. I loved the push pull relationship between the two, and the fact that they were able to draw out secrets from each other just strengthened their relationship. The dimension that both Devlin and Rosie exhibit in this book is amazing. Armentrout did an amazing job twisting and winding this story until you were guessing what would happen next, only to be surprised. I love that I didn't or couldn't guess everything that was going to happen. It made reading this that much more enjoyable. There are some crazy twists and I know that you'll love it as much as I did. 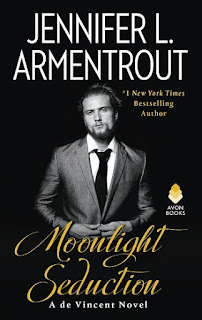 I am a huge fan of Jennifer L. Armentrout (JLA) and I have yet to find a book of hers that didn’t completely wow me. I am constantly impressed every time I read a book by JLA and Moonlight Scandals was no exception. From the very first page I was drawn into the story and couldn’t put it down. I read the previous books in the de Vincent series and I have been hooked ever since. I love the way JLA has combined romance with a splash of the paranormal aspect to it! Plus, despite being a series, I think the books can be read without reading the previous one, but I always enjoy having the extra background knowledge on characters that pop up from time to time and I wouldn’t ever pass up the chance to read a book by JLA. Out of all the de Vincent brothers, I have definitely been dying to read Devlin’s story the most and it was SO satisfying. Only a strong-willed female character like Rosie Herpin, part-time ghost hunter extraordinaire, could put Devlin in his place. Rosie’s character was full of sass and attitude, which made her the perfect match for Devlin. Together, these two had such phenomenal chemistry. Moonlight Scandals was completely worth the wait! All in all Moonlight Scandals by Jennifer L Armentrout was another FIVE STAR read and I can’t wait to read whatever she writes next! This is the third book in the series, and I would highly recommend that you read them in order. Partly because the story flows through all the books, but also because they are all excellent reads. From the very beginning we have known that Devlin's story would be a difficult one, but little could we have predicted just how complex. After the drama at the end of Gabe's book, it was interesting to start with the relative calm of a woman visiting a grave. It was that of her husband, Ian, who unexpectedly committed suicide ten years ago. She still wears his ring on a necklace, and despite studying for three degrees, still works at her parents' bakery. She is a ghost hunter on the side, and later that day tries again to communicate with Ian. What happens at the cemetery and the seance sets up an amazing relationship that just makes sense from the very beginning. Undoubtedly Rosie is the very last person that one would expect the uptight Devlin to fall for, but their chemistry jumps off the page. The sparks may lead to fury, and the trust issues are definitely going to be a challenge, but wow, what a great dance the author leads them down! And never fear, there's a lot more intrigue too. The de Vincents have more secrets in their family than one would ever imagine... and there had been plenty to keep the reader guessing, and I loved the mix of supernatural and dastardly! Ultimately, this is a really fulfilling romance between two people who have had tough times, and still hold their responsibilities to family and friends as being key. Devlin, in particular, deserved the love and devotion of someone who could give him all the attention and fun that he could ever desire. I have added this to my series-to-reread pile, because I am sure that reading them all together will be even better than having enjoyed them over the last twelve months. 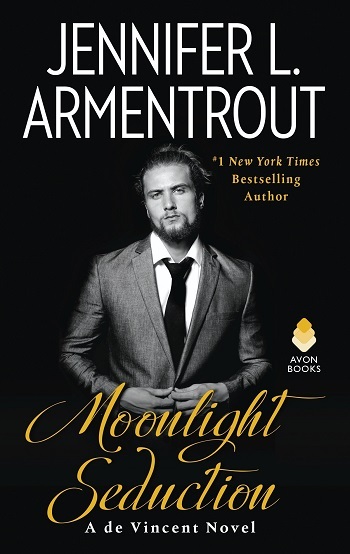 Very excited to see what Armentrout brings us next. In the third installment of the de Vincent series, the eldest brother now has a chance to tell his story, one that shouldn't be read without reading the series in order. From the high-profile de Vincent family, Devlin is called 'The Devil' by the media and public at large. His actions in the previous installments did not endear him to readers. What was created was a craving to know why Dev is the way he is today. With the weight of an entire dynasty on his shoulders, a family curse, and the center of a Gothic manse that seems to have a mind of its own, Dev carries a heavy burden, most of which due to his reactions to acts leveled against him and his brothers. Rosie came onto the scene in the previous installment as a friend to Nikki. Genuine, no-nonsense, wears her heart on her sleeve, there is no manipulation or double-meaning to her actions or words, which is why she is the perfect balance to Devlin. Dev and Rosie battle on the pages, with endless banter fueling a love-hate vibe. While having an infectious quality to the interactions, after several pages, I felt as if each interaction should have been stopped sooner, as it started to be grating and unrealistic. Each encounter, I enjoyed their battling, but as it rolled on, I felt enough was enough and got either bored or annoyed. This cycle of love-hate with me and their tension-filled banter continued for the entirety of the novel. I enjoyed the start of the banter, but it always turned into bickering like children before it turned to lust, like the characters were riding herd on the author and she couldn't curtail it soon enough. The love-hate tension, bantering, and the angst of Devlin pulling Rosie in, only to push her away, it had an addictive quality. But just as with how the banter scenes ran far too long, the book was a bit too long, too slow in the pacing, where I was tempted to skim. I adored the paranormal aspects of a haunted Gothic mansion, filled with many skeletons in the closet, added with the relationships and friendships of three brothers. All three heroines of the series were unique and original, bringing a refreshing balance to a world where they couldn't trust even those closest to them, all motivations greed and power. I won't go into detail on the mystery, as no matter what I say would be a spoiler. My biggest con, aside from the pacing (length) and the run-on bantering, the mystery hasn't been a mystery to me since book one. Not that that doesn't mean many readers will be surprised. I knew what the big reveal was and was satisfied. However (this is the con), another twist was thrown in that I found ludicrous and completely unnecessary, as it brought nothing but shock-value. The solid mystery was lessened by this revelation that took events where I was suspending belief to enjoy the novel, down into soap opera ridiculous territory. That revelation is where an editor should have reeled in the author, said nope, that's off the rails. Just my opinion, and I won't elaborate due to spoilers, but other than perhaps having another book in the future, this lent absolutely nothing to the overall series, story, or characterization, as it just muddied up everything that had been built. I've enjoyed all three novels, the premise checking boxes of all the tropes I enjoy, so I definitely recommend to contemporary romance readers, fans of the author, and those who like a mystery woven in with their romance. Moonlight Scandals is the final book in the de Vincent trilogy. We've been introduced to Lucien (book 1), Gabe (book 2), and it's finally time to learn about Devlin aka the Devil! Please read these in order, the mystery unravels as the series progresses, and also there are characters introduced in earlier books. As always, I will not spoil this story for you, but I will be brutally honest. Devlin is the eldest de Vincent brother, he's the leader of their businesses and wealth. He's also portrayed as very uptight and serious. Devlin is the patriarch and takes his role very seriously, maybe too seriously... Until a chance encounter with a ghost hunter by the name of Rosie, his world is orderly and precise. Rosie is a whirlwind of spontaneity, she is a "feeler," and will allow no one to mistreat her. The banter between Rosie and Devlin was entertaining, at first. Devlin's stuffiness was the exact opposite of Rosie's openness. This was perfect, I love opposites attract type romance! My favorite is when they FINALLY give in and admit they want one another. Unfortunately, I felt like this want/hate went on, and on, and on. I lost interest and had to walk away from the story a few times. I did enjoy learning about Devlin's past. I really wanted to know what made him the way he was, and boy did I get that plus some! The mystery of the de Vincents was finally solved, and for that I was thankful. Although I had closure, I was also disappointed in the ending of this trilogy. At this point, I feel like I know these characters and can piece together some of the clues... until I can't and am thrown for a complete loop that didn't entirely make sense. Overall, this was a relatively entertaining read. I really like Rosie and am starting to like Devlin (just a little bit, Gabe is my favorite with Lucien a close second) and feel like this series has been brought to a close. For reviews & more info, check out our Moonlight Sins post. For reviews & more info, check out our Moonlight Seduction post. 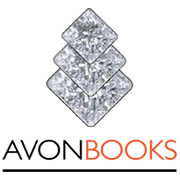 Reviewers on the Wicked Reads Review Team were provided a free copy of Moonlight Scandals (de Vincent #3) by Jennifer L. Armentrout to read and review.